Do you want to discover the ruins of an ancient civilization? 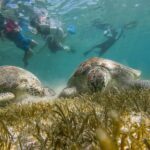 Do you love ecology, adventure, Mexican culture, or archaeology? Then a tour to Coba and Tulum is for you! It will be the highlight of your Mexican holiday. You will be taken to some beautiful places that you won’t soon forget. Coba and Tulum are two of the most popular Mayan ruins sites near Playa del Carmen. You get two Mayan ruins, Coba and Tulum, for the price of one day tour. 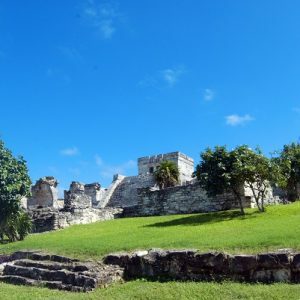 It is an educating and fun tour that will help you learn about the Mayan and Mexican culture and also get to see breathless views especially at the Tulum Ruins over the Caribbean Sea. You will be taken to these sights in a comfortable air-conditioned van. No need to worry about bringing food because a tasty buffet lunch is included. 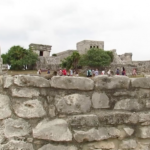 The first part of the tour takes you to the Tulum Ruins. 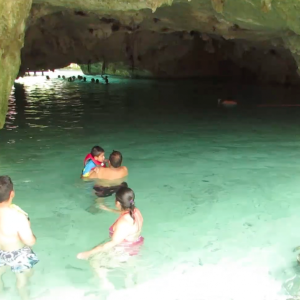 It is a two hour trip from Cancun that will take you south through the Riviera Maya. 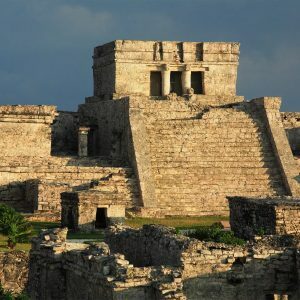 The ruins of Tulum are near the entrance of the town of Tulum on a cliff that’s overlooking the Caribbean Sea. 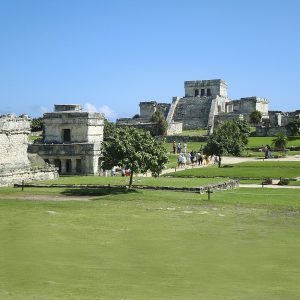 It is one of the most preserved Mayan sites in Mexico. 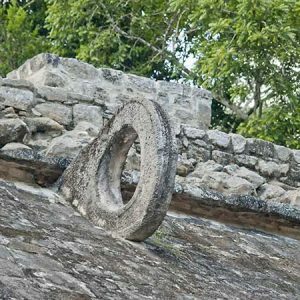 While you are at the Tulum Ruins, you will learn about the Mayan people that lived there during the13th to 15th centuries. You will have plenty of time to explore the site before moving on to the next stop of the tour. The Coba Ruins is around an hour away from the Tulum Ruins. It is deep inside the jungles of the Riviera where you will find calm lagoons and lush vegetation. The Coba Ruins used to be a trading center of the Mayans. 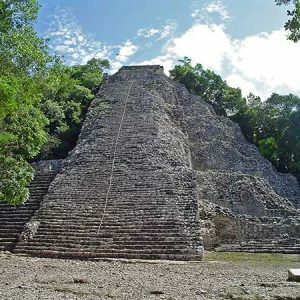 While you are there, you can climb to the top of the Nohoch Mul, which is the highest Mayan Pyramid in the region. 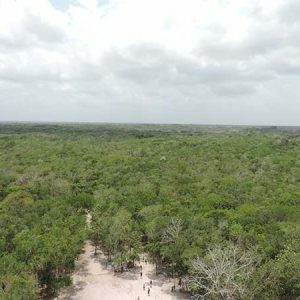 While on top of the pyramid, you get to admire the jungle canopy surrounding the archaeological site and miles around. On the way back towards Tulum from the Coba Ruins, you will make a refreshing stop at the famous gran cenote. A cenote is an underground sinkhole that was the result of limestone erosion and filled with brilliantly clear water that’s naturally filtered by the limestone. There you can swim or snorkel, which is the best way to refresh yourself before heading back to your Cancun hotel after a day of adventure in the Mayan world. As you can see, the day trip to Coba and Tulum is definitely worth your time and money. 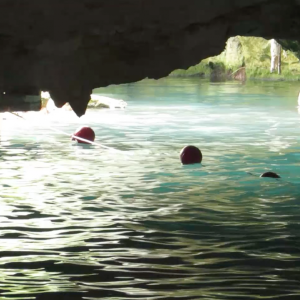 You will be able to visit the ancient Mayan sites and swim at an amazing cenote. 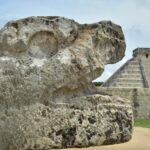 You will gain new knowledge about Mayan civilization and culture at the end of this Tulum, Coba & Cenote Tour from Cancun. So what are you waiting for? Book your tour today! Water is not included throughout the day and is very expensive at the ruins sites. We recommend bringing a good amount with you on the tour.